Allergic reactions and intolerances to all substances, but particularly foods, are increasing in the population. It is estimated that 6-8% of children and 3-4% of adults have a food allergy, which is an abnormal reaction of the body’s immune system. The severity of an allergic reactions ranges from annoying and uncomfortable, to the extreme form, anaphylaxis which can cause death. It can be a matter of life and death for certain individuals to purchase food products, or eat in cafés and restaurants. When they ask "is this free from nuts?" They need a positive answer. It must be nut free if it says it is. 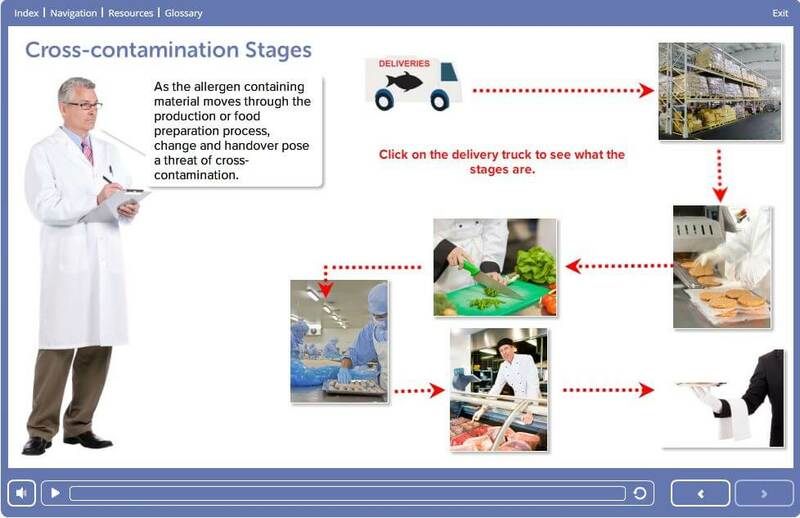 This places responsibility on food production to guard against contamination, and knowledge to ensure that if asked, staff would know all 14 named allergens and if they were present in the food they were producing, preparing, or selling. To achieve this, they must receive excellent training, to perform to the standards that are set by management. This allergen awareness course will help all your staff to achieve the highest standards. Changes to food labelling have been applied. from December 13th 2014. This legislation has required changes to all labels to enable customers make clear choices about the foods they eat. This legislation also applies to food not pre-packed and therefore affects those preparing meals in restaurants, hotel, cafes and bars. Staff will need to know and understand what the 14 main allergens are, and why allergen containing food must be handled so carefully. This is a critically important food allergy training course. 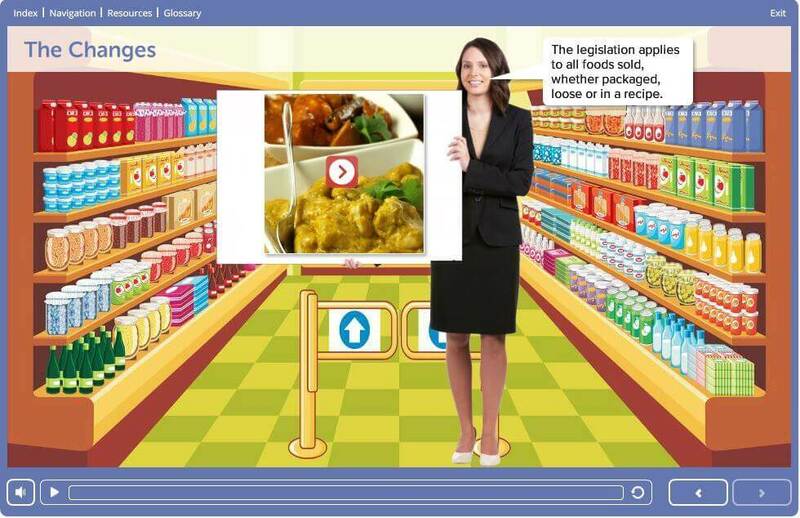 The British Retail Consortium (BRC) says in clause 5.29, issue 6 of the global standards "all relevant personnel, including engineers, temporary staff and contractors, shall have received general allergen awareness training"
Who should take Food Allergy Awarness training ? 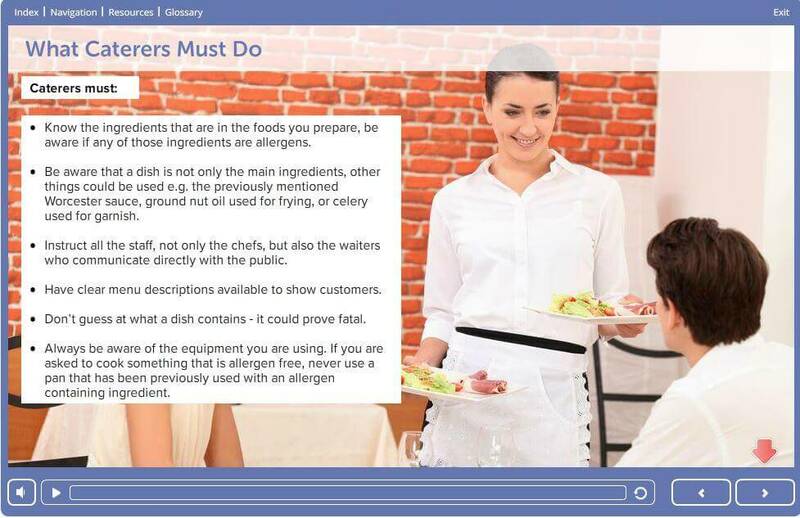 This Allergen Awareness course has been updated to include the EU Food Information to Consumers Regulations which has been enforceable by law from December 2014, and should be a mandatory part of induction and standard training for all staff in the food industry, hospitality and care sectors. Who should take this Food Allergy Awareness Training Course? 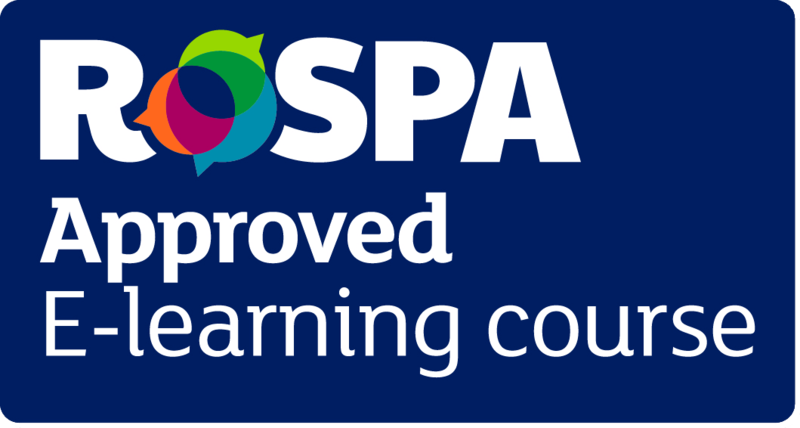 Our online Food Allergy Awareness course is Approved by RoSPA, allowing us to provide the most up to date and industry recognised course. 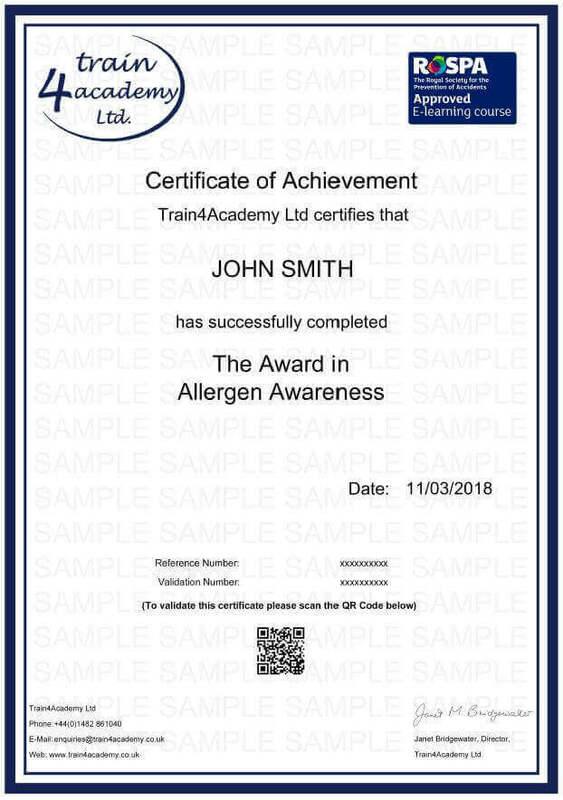 How long does a Food Allergen Awareness Certificate last? Our Food Allergy Awareness training course has been approved by Environmental Health Officers with its content developed in accordance to their guidelines, which means you can be sure you’re receiving the right training for your role. This food allergy awareness course provides 1 point towards your Continuing Professional Development (CPD). The online assessment for the course consists of 20 multiple choice questions. In order to be successful, candidates must achieve a 75% pass mark (15 or above) to obtain the certificate. The average time required to complete the learning is approximately 1.5 hours, however the course is designed to go at the pace of the learner and can be completed in more time if needed. If you don’t pass the assessment first time there is no need to worry. We offer you unlimited FREE resists to make sure that you pass and get your certificate in food allergy awareness, stress free. 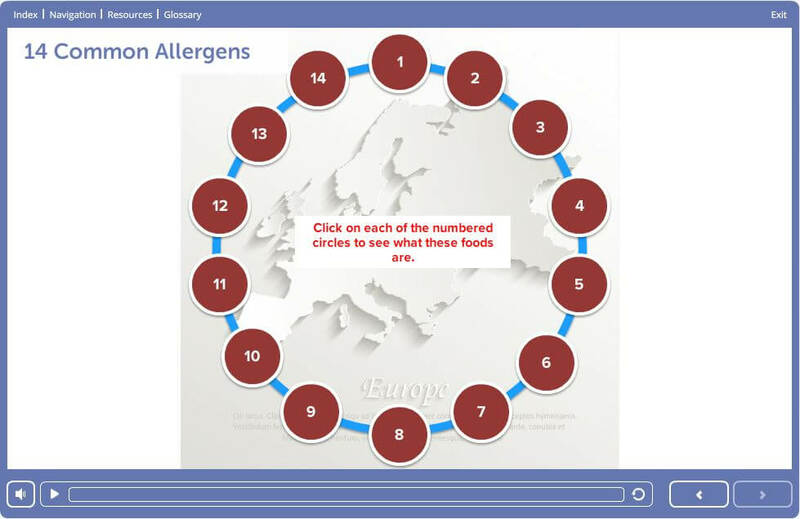 When taking part in our online course, you will cover the following module: Food Allergy Awareness Training.